The Financial Times celebrated 125 years in print last week. Since its launch in 1888, the FT has become the gold standard in business and financial journalism. But 13 years earlier, in 1875, two Lebanese brothers, Beshara and Salim Takla, launched from the Egyptian port city of Alexandria an economic weekly newspaper they called Al-Ahram. Within two months, the Takla brothers turned it into an economic daily before relocating to Cairo. It has since become Egypt’s newspaper of records. Beshara and Salim Takla called their publication al-Ahram – Arabic for Pyramids – in honor of their host country and its history. In 1892, prolific Lebanese novelist Georgie Zaydan (1861-1914) created al-Hilal, the oldest cultural periodical in the Arab world and the only journal that has been issued regularly for more than a hundred years. Zaydan called his publication al-Hilal – Arabic for Crescent – to show the appreciation of a Lebanese Christian émigré of the Muslim faith of most Arabs. It is futile and stupid to compare years and dates. I certainly don’t mean to suggest that al-Ahram is anywhere near the Financial Times. I only mentioned dates and brands to compare not what we accomplished, but what we lost. Over the years, we managed to lose tiny Lebanon’s outsized overseas role, whether in Ecuador, New York, Rio or even Alaska. 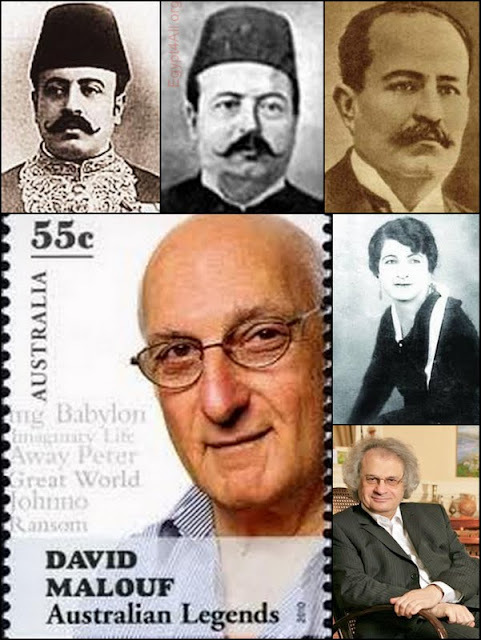 Lebanese émigrés proved time and again their human capacity to be exemplary citizens in host countries whenever they were prevented from being ordinary citizens on their native land. How do you cope with such hard fate? Is this tiny country fated to be a gateway for its citizens’ exit and a portal for the entry of invaders and transients? To escape Ottoman persecution, Lebanese moved to Egypt, where they found safety and dignity under Khedive Muhammad Ali Pasha, an Albanian commander in the Ottoman Army, and further away to Malta. In Egypt, they diffused publishing, brain work and theater arts. Fatima (Rose) al-Yousef, who was born in Lebanon’s Tripoli in 1898, became the queen of the stage and the press in Egypt. The Rose al-Yousef magazine, which she founded in 1925, is still one of the most popular and widely-circulated weeklies in Egypt and the Arab world, along with its sister weekly Sabah al-Khair. There is nothing childishly romantic about remembering the launch of al-Ahram on the occasion of the FT’s 125th anniversary. By association of ideas, the two events evoke the here and now. Today, for instance, we find ourselves deploying fighters to Syria from Lebanon’s North and South. Today, families in seeing their intellectuals wing their way among Arabs find themselves threatened by the latter’s military wings. Lebanon was a university graduating Arab scholars. It has turned into a training camp for those bracing to fight their own people and scorch their land. This is not moaning about the brilliant past but lamenting the bleak present. The past will be rekindled in future history books, albeit in abridged form. On his visit to Lebanon last September, Pope Benedict urged multi-faith Lebanon to be a model of religious peace and coexistence for the Middle East. He was probably referring to Lebanon as it was from the late 19th century until its assassination in (the civil war of) 1975. Lebanon was a beacon of humanity in those years. It was shining through such novelists as David Malouf in Australia, Amin Maalouf in Paris and Milton Hatoum in Brazil. All three wrote on one subject: human fraternity and Man’s faith in Man. In each continent around the world, you will find a Lebanese looking for peace of the souls that is lacking in Lebanon. In Miami, Florida, I looked for the daughters and sons of Anthony R. Abraham, who I had met in the mid-1970s through Danny Thomas, the most renowned Lebanese in America after Khalil Gibran and through Anthony R. Abraham I got to meet lawyer Richard Shadyac. What joined the three was Lebanese before the coup d’état. Danny Thomas founded St. Jude Children’s Research Hospital, a pediatric treatment and research facility focused on children’s cancer diseases. He bequeathed his fortune to St. Jude. Richard Shadyac and Anthony Abraham, who died in 2009 and 2011 respectively, also left part of their fortunes to St. Jude. All three cannot vote in Lebanon, because we want to suffice with the voters we have. Philanthropist Anthony Abraham graduated from the University of Detroit but dropped out of law school during the Depression to work for the Chicago Evening American, then launched his own Help Wanted News and became wealthy when he sold it. Abraham and his family moved to South Florida in 1951, and launched a Chevrolet dealership in the outskirts of Little Havana. He prospered again, turning the sprawling two-block business into the largest Chevrolet dealership in South Florida. Throughout his long life, the savvy businessman with the omnipresent cigar was also devoted to numerous causes involving faith and philanthropy. As a child, he had vowed, “If, by the grace of God I ever could, I would feed the poor and help the sick.” He more than made good on that promise. Abraham was the last living founding member of St. Jude Children’s Research Hospital in Memphis, Tenn. In 1976, Abraham, who named one of his sons Thomas after his friend Danny Thomas, founded the Anthony R. Abraham Foundation, which gave millions to stateside hospitals and charities. The foundation also supported schools and hospitals in Lebanon and Haiti. His daughter Norma Jean, whom he adopted from an orphanage in Lebanon, is continuing his charitable work and philanthropy. Abraham was also a founding member of Our Lady of Lebanon Maronite Catholic Church in Coral Gables. Coral Gables has all the hallmarks of Ashrafieh before the Beirut neighborhood was set upon in 1975. An aura of Lebanon also permeates the Anthony R. Abraham Family Gallery at the new Coral Gables Museum. In the Lebanese renaissance era between 1955 and 1975, intellectual rivalry was chiefly over a cultural identity, according to Dr. George Younan. It involved thinkers like George Corm and Anis Freiha. But don’t look around you now. The year 1975 marked the bloody start of the coup d’état against the Republic of Humanitarian Tweeting. It was the year Said Akl launched a newspaper to cover battlefront news and gulls overflying Beirut were felled by Kalashnikovs. What remains of the Kalashnikovs that arrived in Beirut in crates are now exported to Syria. The image – but not the message – is of Lebanon now being swamped by waves and dark clouds from all sides. It is only natural for the political mayhem to be mirrored in the press and on campuses and playgrounds. I don’t think anyone remembers seeing a media pandemonium such as we see today. The buds of breakups and hatred are everywhere. Advocates of unity and forgiveness are treated as outcasts. 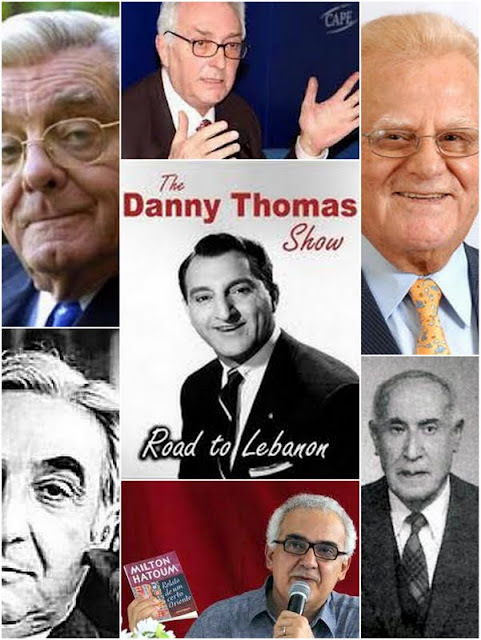 Lebanon’s elder statesmen formulated the National Charter, drafted the Constitution and charted the roads to togetherness and the ways to communicate. These evaporated under today’s politicians. Two Lebanese outraced Europe to launch a financial newspaper a century-and-a-half ago. Today, we are a state lacking a national economy and electricity, a state whose legislators meet a few miles from Kandahar to draft an electoral law smacking of sickly sectarianism. It’s another chapter of the coup d’état.